A well-designed, high-quality printed business card can be the difference between getting a contract and being left as one of the also-rans in a bid for business. First impressions count for a lot, both in our personal relationships and especially so in business. When it comes to presentation of yourself and your business, it is important to not only leave a good impression in a personal sense, but just as important to leave one in a physical sense, and that is in the form of a well-presented and nicely designed business card, and/or brochure/s. Far too many people in business scrimp on business cards in particular. Rather than making sure they have a good quality, well-designed ‘advertisement’ for both themselves and their business, they’d rather go ‘cheap’ and offer what is really a fairly sub-standard product to potential customers. It sends a message, however subliminal, that your business or product might not be quite the ‘real deal’. 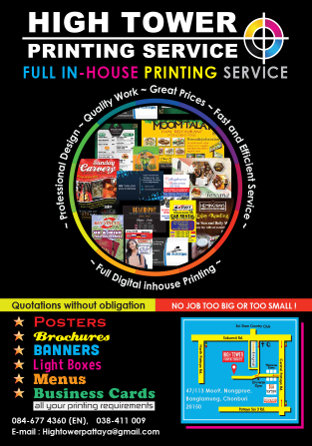 The High Tower company is one that specializes in producing top-quality printing while offering free graphic design to give customers the head start they need in business. What’s even more impressive is that the service is not expensive. 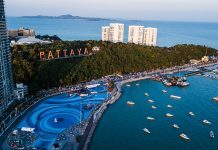 While there are plenty of printing companies dotted throughout Pattaya, many are either not in a position to design business cards, brochures, flyers and posters and the like. They can only take the design supplied by the client, maybe add a few little touches and then print the finished product. High Tower have a number of advantages in their printing. First, they have fluent English speakers who can work with a client and determine what the client is hoping to achieve. Second, they have an enterprising graphics section, with people who can take a client’s idea and develop it further, creating an aesthetically pleasing end result that will impress that client’s potential customers. Third, and just as importantly, the graphics component is a value-added service; that is, free to clients. 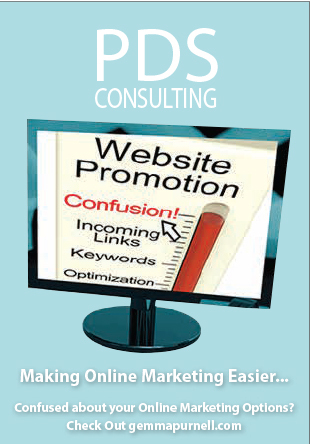 Finally, the price a client pays for the service and the end product is extremely competitive. To give some examples of the incredible value available, High Tower is offering 5,000 business cards, professionally designed, full-colour printing on both sides, UV finished on 310gsm paper for just 5,000 baht. One baht per card is amazing value. High Tower also has a spot UV-finished, 360 gsm full-colour printing on both sides business card offer of 500 cards for 2,500 baht or 1,000 cards for just 3,500 baht. Even these relatively small numbers come with a free graphics design component. As well, High Towe are currently offering 5,000 A4 brochures or flyers, full-colour and printed on both sides on 120 gsm art paper (and your choice of either gloss or matt finish) for only 8,500 baht (plus VAT). Maybe you don’t need so many, but still need something like an A3 poster. If you have the file ready you can have 50 posters printed full colour on 150 gsm art stock for only 1,250 baht. So, if you have a need for a business card, brochure, leaflet or poster and you want help in designing the layout, then High Tower is well worth investigating. For more information, contact them on 038 716 062 or 084 677 4360.